The Taubman Company, known for their upscale shopping centers, departed from their usual formula to enter a partnership with Swerdlow Group to build and open a 1.3 million square foot regional retail center called Dolphin Mall in 2001. We began representing the center approximately 12 months prior to opening and have continued for the next 16 years. We implemented a very comprehensive and strategic public relations campaign and met specific goals 12 months, 9 months, 6 months, 3 months out and then Grand Opening. Behind schedule and having construction work 24 hours/7days a week to catch up, we had several challenges. When the center was originally planned, the primary target market was thought to be Latin Americans who frequent South Florida for good values. But, six months before opening, the Latin American economies grew very weak, and we had to reposition the center to focus primarily on the local, bilingual market and secondarily on the Latin/South American market. We had already secured several feature articles in the Latin American press and now needed to do the same in the South Florida Market. 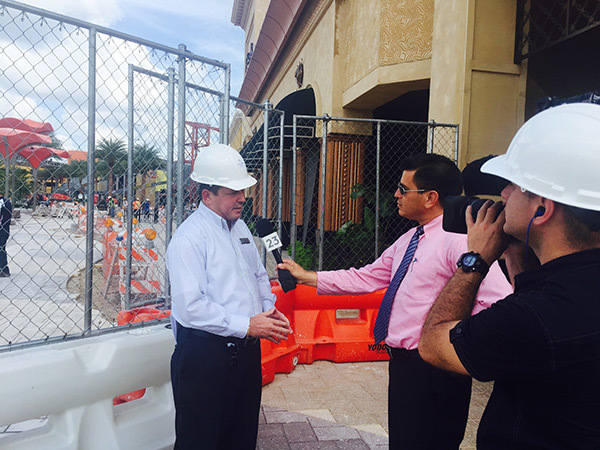 We held closely to the scheduled calendar of activities including a hard hat media tour, ongoing updates on construction, updates on stores, profiles on the management, and dozens of other story angles. 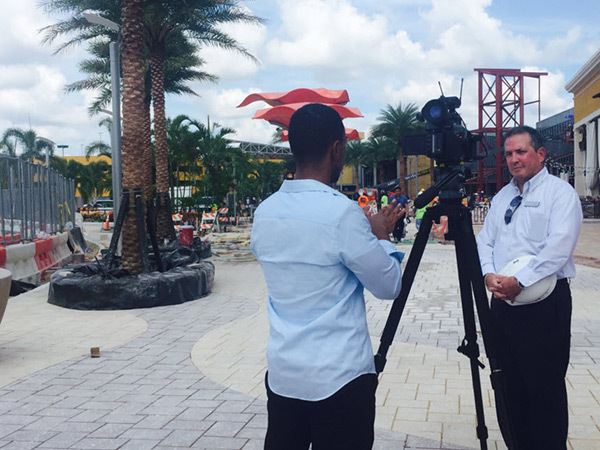 The objective was to communicate the message that Dolphin Mall would offer value stores including designer outlets such as Off Saks Fifth and to position ourselves as an alternative to our Broward competitor. We were in competition primarily with Sawgrass Mills who offered similar stores and had an advantage in the marketplace due to longevity and awareness. As the opening date came closer, the campaign was in high gear, securing regular press in all of the South Florida magazines and newspapers. All of the television stations ran advance stories and when the Grand Opening date arrived, there was complete television coverage in English and Spanish beginning at 5 a.m. which lasted throughout the day and into the 11 o’clock news. The PR team handled all of the media from dawn until midnight during a Grand Opening week and dozens of media in the weeks and months prior to opening. We handled all of the media requests, worked with the client on interviews and hands on media activities. In the end, we orchestrated hundreds of media stories and interviews during the 12 month period. The Taubman Company said that we secured the most publicity they had ever received for one of their centers. The public responded to all of the press coverage and advertising by turning out in the thousands for the Grand Opening. We spent the rest of the year promoting new store and restaurant openings, publicized activities going on at the center, creating Back to School, and holiday promotions and so much more. The shopping center continues to be the best performing mall in The Taubman’s national portfolio.